Test your knowledge with the James Bond Trivial Pursuit! This edition contains 600 questions based on all your favourite 007 movies. Test your trivia from the following topics: Cast, The Films, Vehicles, Gadgets, Locations and Behind the Scenes! 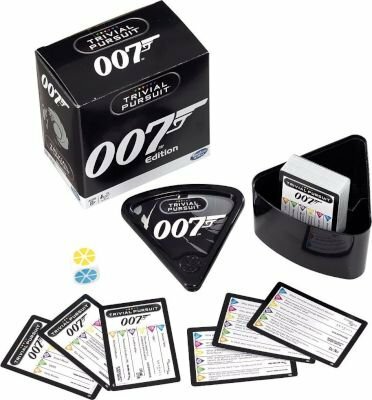 The game is handy for any secret agent on the go, requiring no board and an easy to carry around bitesize wedge case. Suitable for Age: 8 Years and older.